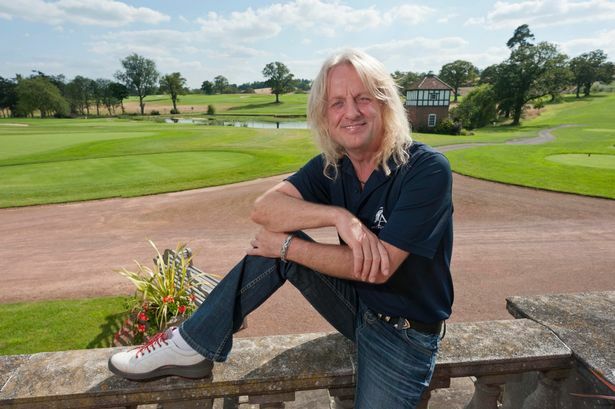 Former Judas Priest guitarist KK Downing is going solo with plans for a leisure resort around his countryside golf course, after buying out his Birmingham-based partners. The Grammy Award-winning guitarist wants to build a world-class golf resort with 40 holiday homes at Astbury Hall, his stately home near Bridgnorth, in south Shropshire. He said he was keen to kick on with the scheme, with the help of Ryder Cup captain Darren Clarke, after agreeing a deal to take over the development from joint venture partners Anthony McCourt, of city firm Court Collaboration, and Jason Humpherston. The trio first revealed the plans, which aim to bring top international golf competitions to Shropshire, in 2012 and have secured planning consent for the scheme. At the heart of the plans is the construction of 40 new holiday units, with longer-term plans for a hotel, spa and another nine-hole course. Mr Downing said The Astbury was ready to move on to the next stage in its development after agreeing an undisclosed deal. He said: “We have established a fantastic vision, secured planning permission, now we have a wonderful opportunity at The Astbury to deliver something truly world class for golf in the region. “The Darren Clarke Village is going to be a unique opportunity for golfers to holiday alongside one of the best courses in the UK. Ken Downing, better known as KK, funded and designed the par-71 course on the 320-acre estate himself. It became a new focus after retiring following a 40-year association with Judas Priest - a role which took the West Bromwich-born star around the world. The course, which opened in 2010, measures more than 6,500 yards and has become a firm favourite with golfers in the West Midlands and beyond. Having played their part in securing a planning consent, Mr McCourt and Mr Humpherston are now exiting the project. Mr McCourt said he was pleased to depart after helping to secure the plans. He said: “Ken has always been the key to making The Astbury happen. Jason and I are really proud to have been there in the gestation of these plans and helping to secure planning permission but Ken has put his lifeblood into Astbury and he is the man to make it happen.